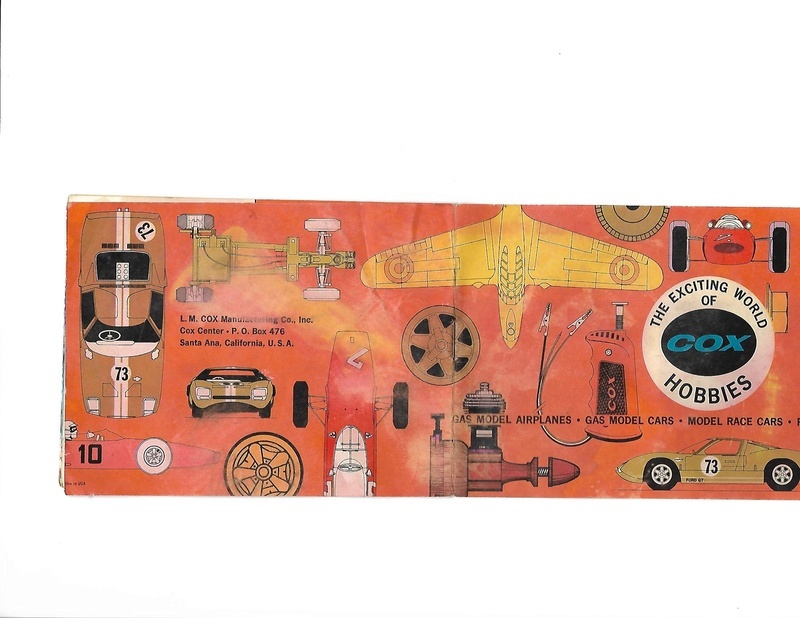 Sorry scanner has a mind of its own and don't want to get all of the pages on some ? 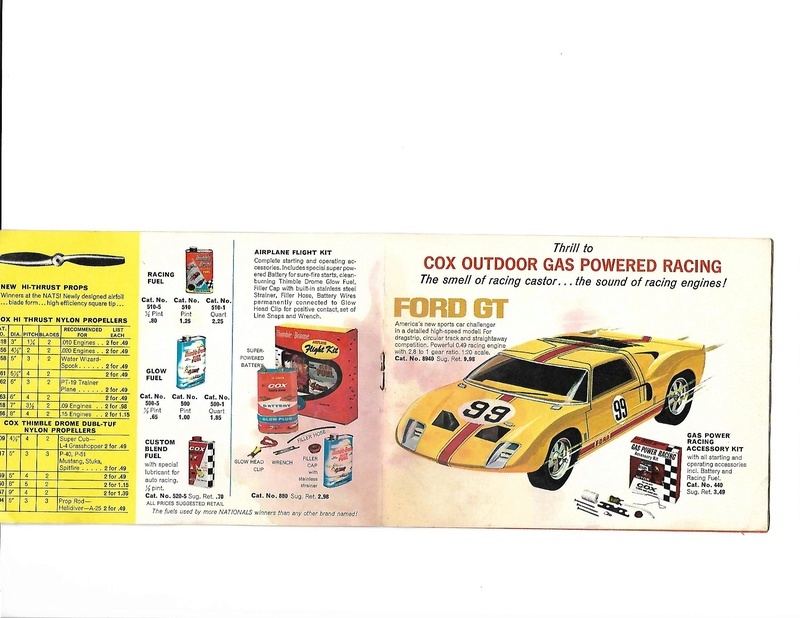 I got 8 pages.. and saved em' to my Cox Hobbies/ads folder. 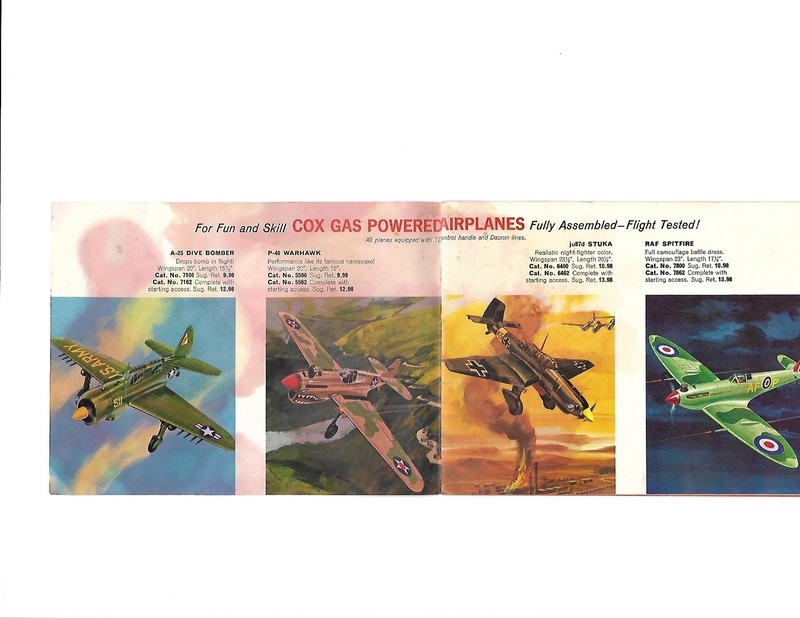 Thanks for sharing Eric! 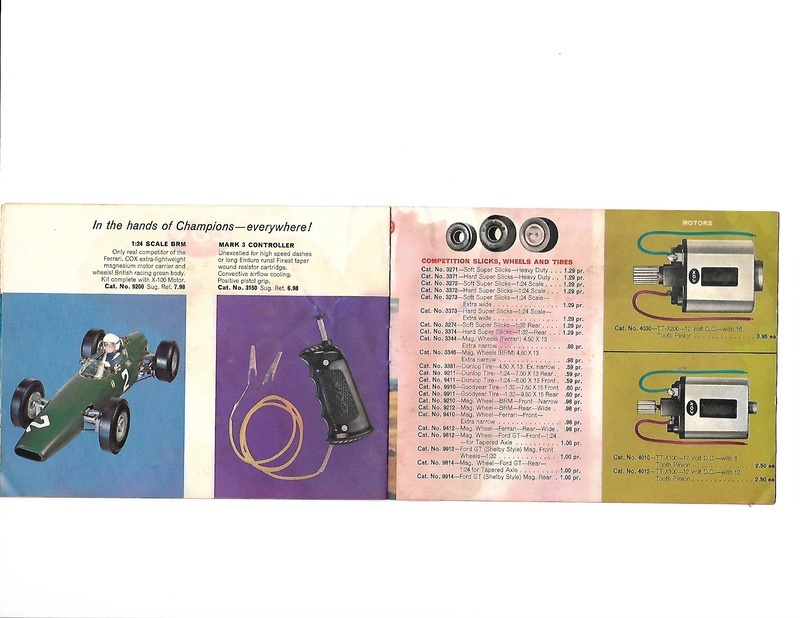 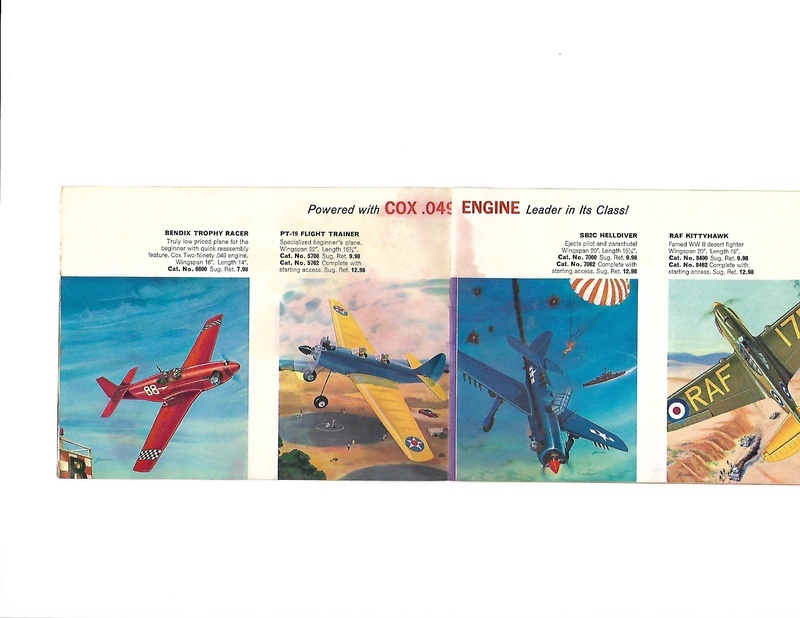 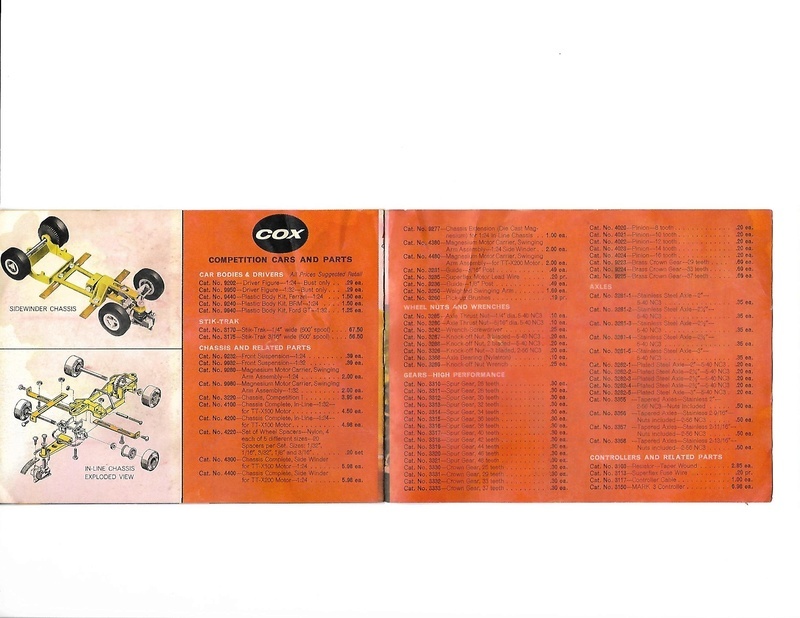 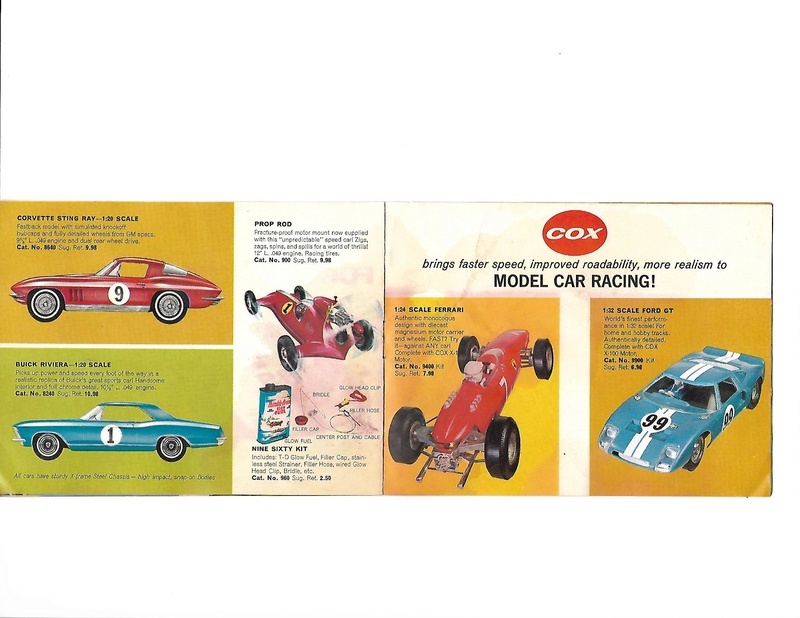 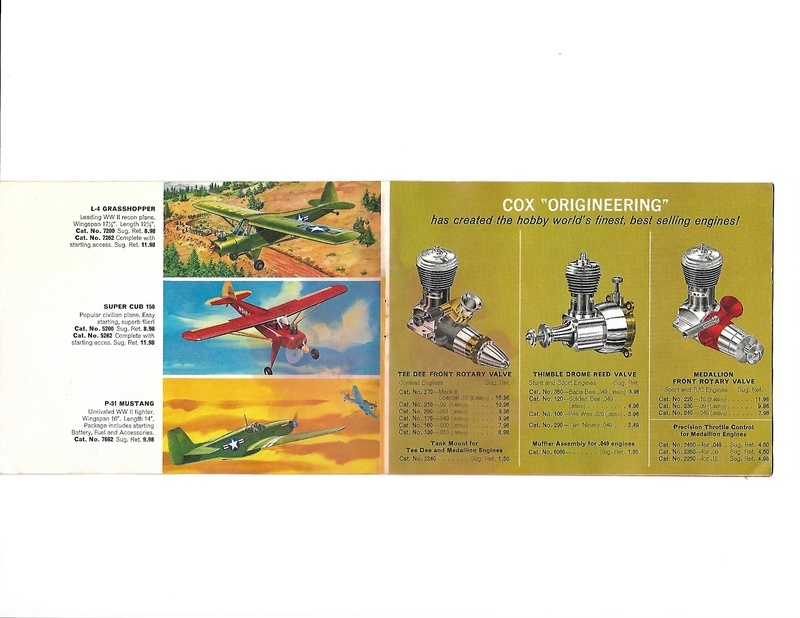 This is the 1965 'pocket' catalog that Cox included with the model, interesting is that the planes all have duplicate products except the pt-19 and Stuka, also notice that the slot cars are still going strong, these would drop off completely in the next couple years.